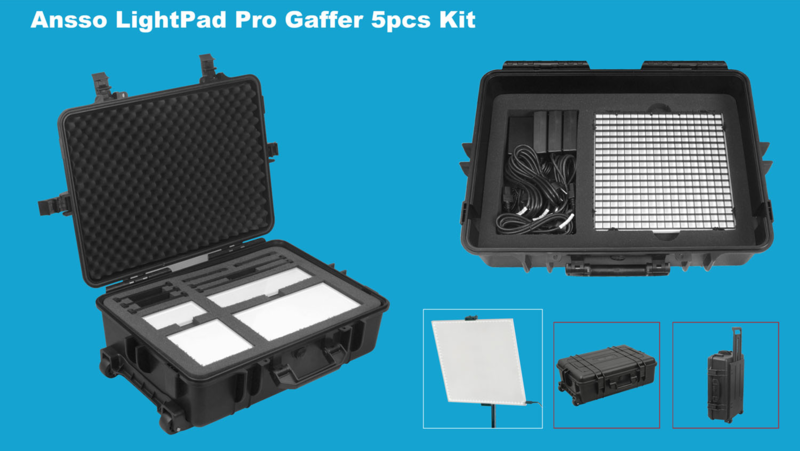 The Pro Gaffer kit is the most comprehensive of all the LightPad kits. Including five LightPad a wide range of accessories, the Pro Gaffer's kit gives you a versatile and extensive set of lighting tools. If you need the options and accessories generally required on film sets, this is the kit for you.